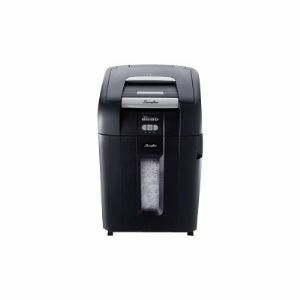 Stack-and-Shred shredder with SmarTech revolutionizes office shredding. This auto feed shredder sends real-time status updates straight to your phone or tablet, freeing you up to do other tasks while the 600X does the work. With the easy-to-use SmarTech Shredder app, you'll be able to keep track of shredding with notifications if the shredding job is interrupted for any reason, and when shredding is completed.